SICRES, S.A. de C.V., SOFOM, ENR (SICRES) is a specialized, non-deposit taking financial institution which specializes in lending to consumers in Mexico. It is specialized in healthcare-related loans. 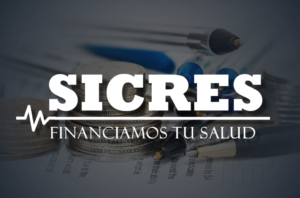 Since its acquisition by ARCU Capital, SICRES has worked with thousands of clients through innovative financing programs to provide loans to meet their healthcare needs.